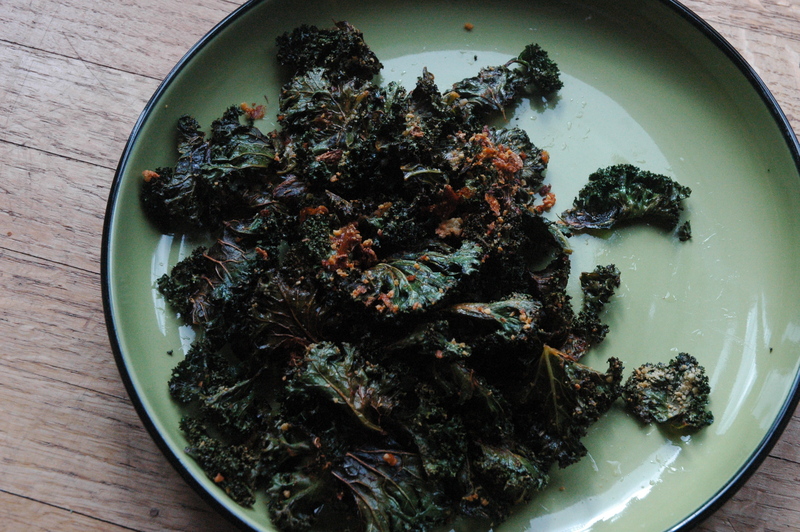 So the Kale Chip bandwagon rolled by I thought, why not jump on and see what this ride is all about? This immensely healthy vegetable is chock-a-block full of antioxidant properties, vitamins K, A, C and manganese (just to name a few). The leafy vegetable is sort of having a “moment” in the food fandom, with bloggers describe kale chips tasting “just like potato chips!”. This is absurd and absolutely not true. Consistency wise these were awesome, very light and flaky in your mouth, without inciting the guilty after effects of potato chips. 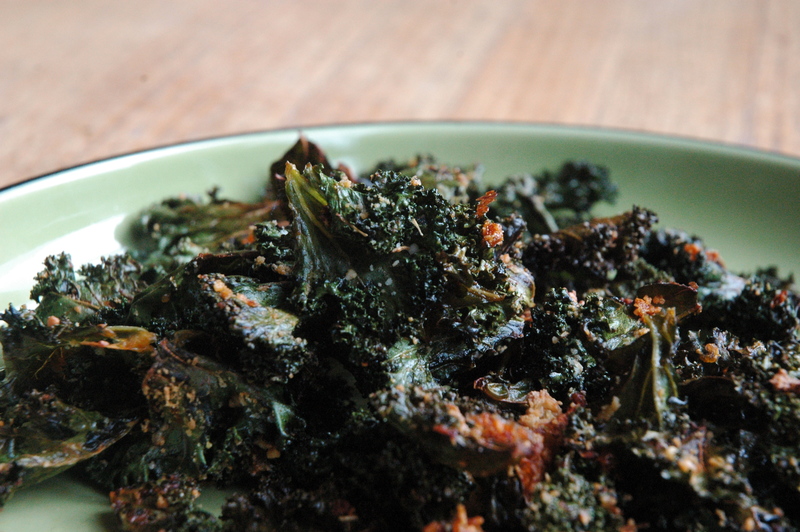 Though kale absorbs the flavours you season it with, it does retain somewhat of a nutty earthy flavour, like raw broccoli. 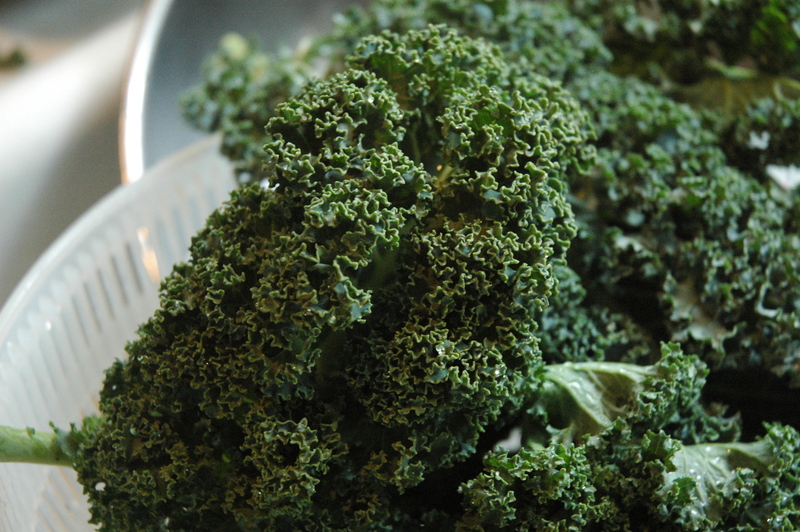 Wash kale and thoroughly dry. 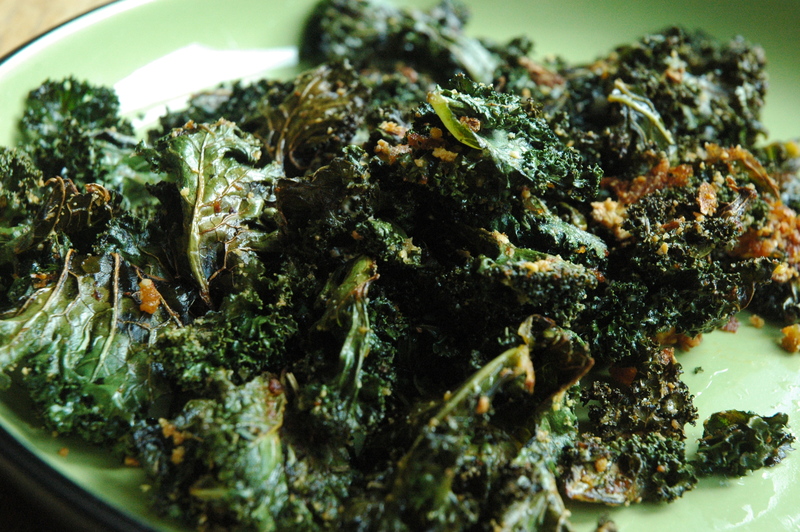 Separate kale leaves from the stem, then using a bowl or seasoning bag toss kale leaves in olive oil, garlic, and Frank’s. 2 tbsp wasn’t enough to make them spicy, but the flavours were nice. 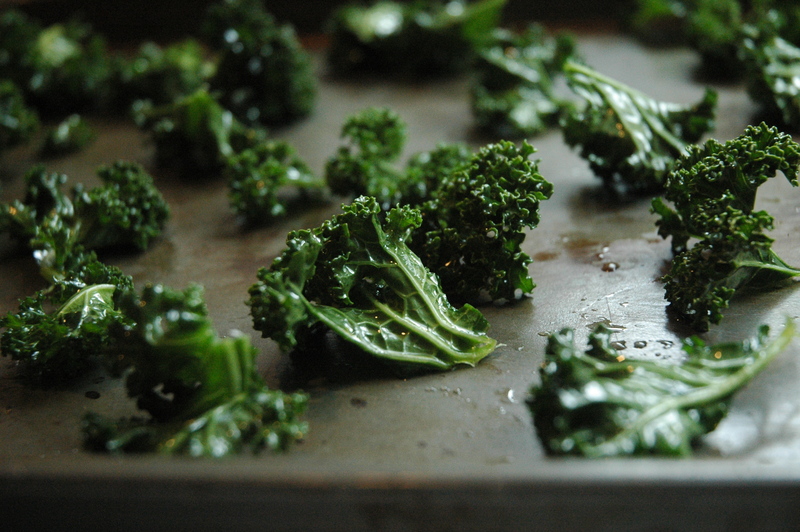 On an oven tray evenly distribute kale leafy side up. Bake for 10 minutes. Remove from oven and season to taste with parmesan cheese ( I also sprinkled some paprika). Return to oven and cook for 2 more minutes. 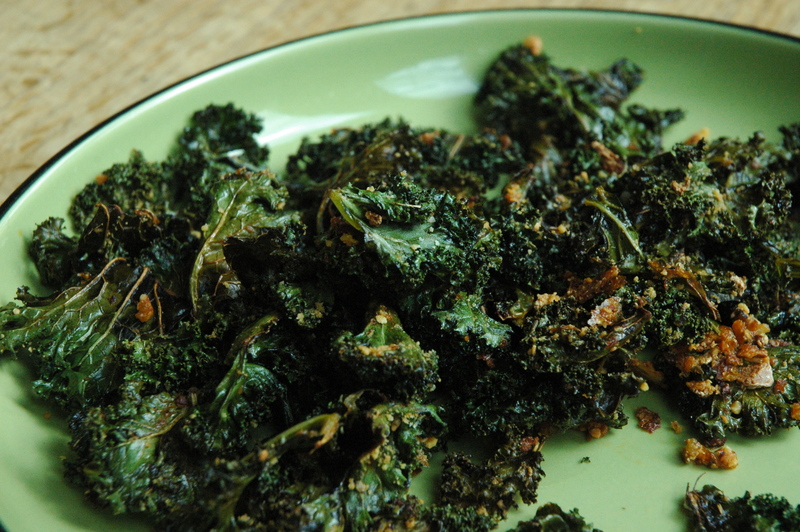 NOTE: Burnt kale tasted very bitter, so keep a watchful eye on your chips!!! Hmmmm…..I’m not sure about this, but I would definitely try it. Maybe you will make it one day for the fam, and we’ll all get to vote! Yes, I definitely want to try it again, maybe a different seasoning to let the “essence of kale” come through. Thanks for stopping by, I really appreciate all your comments 🙂 I’m excited to make these chips again and share them with my family. Unfortunately I’m in the process of moving so I haven’t been able to cook/post anything lately. But soon! We tried these tonight for the first time and really liked them. (We left out the hot sauce since we have wimpy mouths). Even my 9-year-old son loved them. Thanks for sharing your recipe!